Surely a summer holiday can be fun even if you spend it mostly lying around on the beach. But, if you want to make it truly memorable, why not take part in an exciting activity like snorkeling? This seems as a great way to get to know the real beauty of the underwater world. Still not convinced that you should give it a try? 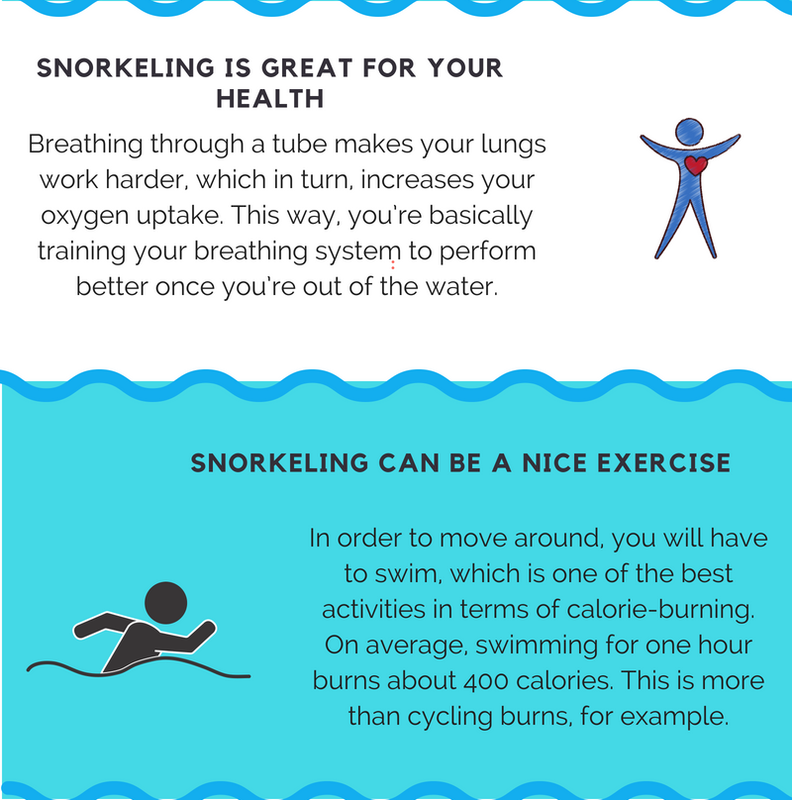 Well, you’re gonna change your mind after reading these 10 reasons why snorkeling might be the best summer holiday activity! In order to be able to explore the wonderful under-the-sea world, you need to get yourself a snorkeling mask. Actually, that’s the only thing you need. Such a mask will provide you an amazing view of what’s going on at the bottom of the sea, while also supplying you with breathing air. 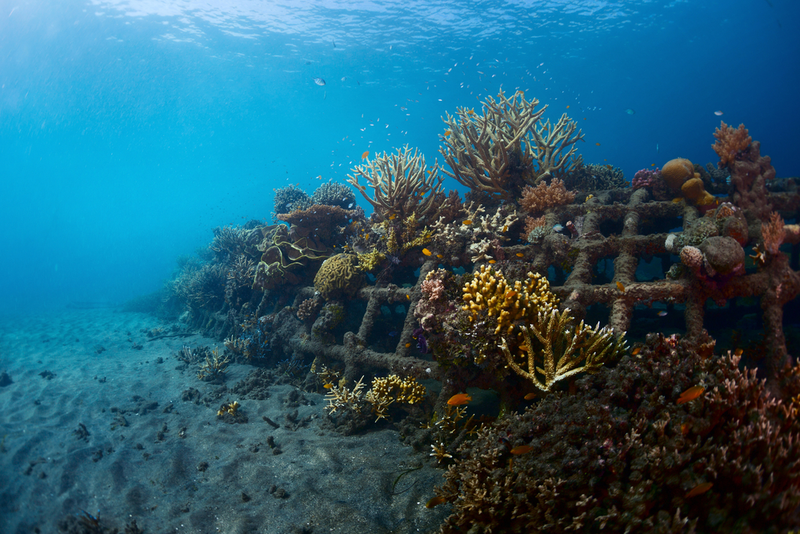 With a good snorkeling mask on, you will be able to explore the underwater gardens as much as you like. Surely, other pieces of equipment might also come in handy, most of all, the swim fins. By putting a pair of swim fins on, you will be able to cover bigger distances without wasting too much energy, so getting them definitely seems like a good idea. The fins are, however, purely optional. The best thing about snorkeling equipment is that it’s not that expensive. 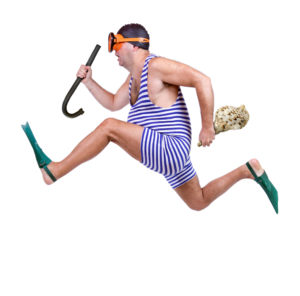 Moreover, you don’t even have to buy it – some summer resorts offer snorkeling equipment for rent. A great thing about it is that it’s one of the safest recreational activities you can have on your holiday. In fact, almost anyone can do it. If you know how to swim, you will know how to snorkel! Read our beginner’s guide on how does snorkeling work here. Basically, the trick is to master the skill of buoyancy control, after which you will have no problems to keep your body floating on the surface, with your face pointing towards the breathtaking underwater landscapes. Well, the whole point of snorkeling is being able to witness the amazing landscapes situated at the bottom of the sea. Have you ever watched TV documentaries about the world hidden underwater and wondered what would it be like if you saw it in person? If the answer is yes, snorkeling is the right activity for you! 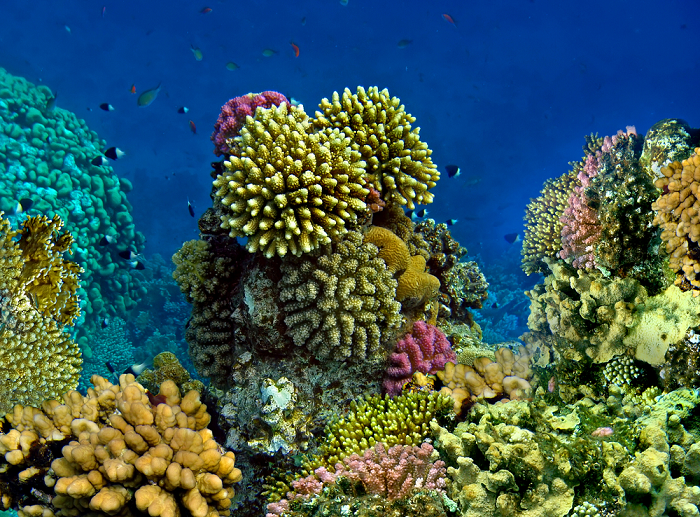 Coral reefs are guaranteed to make a strong impression on you. In fact, they’re the number one reason why most people decide to give snorkeling a try. Depending on which part of the world your snorkeling adventure takes place, you may encounter corals of all shapes and sizes. Apart from the natural wonders hidden under the sea level, snorkeling also lets you explore some human-made objects. We’re not just talking about ships and boats that sank a long time ago, but also about sculptures made by various artists for this exact purpose. For instance, there’s an underwater museum in Cancun, Mexico, with more than 500 different sculptures submerged in the ocean. For history buffs, there are some ancient cities hidden under water, as a result of earthquakes, tsunamis, and so on. One of the best examples is the city of Pavlopetri in Greece, which is estimated to be more than five thousand years old. Other cool underwater cities include Port Royal in Jamaica, which you might remember from the Pirates of the Caribbean; Baia, an ancient Roman city that sank when the Vesuvius volcano erupted; the Sunken City of Epidaurus just off the off the Kalymnios beach in southern Greece; and many others. Strictly speaking, corals are animals, but we’ve already covered them in the previous part. That’s why we’re now gonna talk about the animals living underwater. Snorkeling gives you an opportunity to observe fish in their natural habitat, rather than in an aquarium (or on a plate). The Caribbean seems like the ideal destination for those snorkelers who wanna explore a diverse aquatic life. This is where the snorkelers can observe different species of small of fish, but also sharks and sometimes even humpback whales. Do you think you deserve a holiday to relax your nerves and fill up with energy? If so, then snorkeling is exactly what you need. There aren’t many other activities that can make you feel so calm. Just think about it – snorkeling involves floating at the surface of a calm ocean, observing harmonic underwater life. Some argue that the best thing about snorkeling is the silence that it brings along. With your face submerged in the sea, there are no other distractions or noises to make you feel edgy. Spending some time snorkeling on your holiday can have the same effect on your mental and emotional state as doing yoga for hours. Surely, snorkeling can be an exciting adventure if you go to explore the aquatic wonders on your own. But, real fun seems to come only when you’re doing it together with your friends and family. This activity can be so awesome that it would be a real shame to keep it just for yourself. Furthermore, you may also wish to consider joining a snorkeling club, where you can spend time with the like-minded people. The best thing about these kinds of clubs is that they’re not just about sharing snorkeling stories, but organizing snorkeling events, as well. 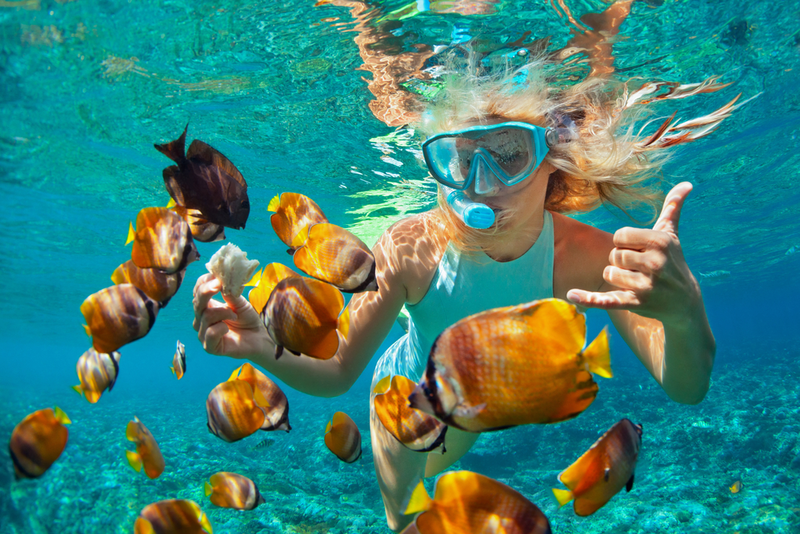 So, if you’re friends and family members don’t feel like going on an adventure, this way, you’ll be able to find a snorkeling buddy. Snorkeling has a similar effect on your lungs as some much tougher aerobic exercises. The thing is that breathing through a tube makes your lungs work harder, which in turn, increases your oxygen uptake. This way, you’re basically training your breathing system to perform better once you’re out of the water. Furthermore, by learning the snorkeling breathing technique, you will learn the foundation necessary to master the skill of scuba diving. In fact, snorkeling seems like the first step on the road to learning how to dive to much bigger depths. Floating on water might seem like an effortless activity, but in order to achieve proper buoyancy, you need to keep some of your muscles engaged. The muscles that will do the most work are core muscles, that is, the abs and lower back muscles. Of course, in order to move around, you will have to swim, which is one of the best activities in terms of calorie-burning. On average, swimming for one hour burns about 400 calories. This is more than cycling burns, for example. On top of that, snorkeling is guaranteed to help increase joint mobility. Same as any other water-based activity, snorkeling also provides a healthy exercise for your joints, without any risk of injury. So, if you have problems with joint pain or stiffness, snorkeling might be just the thing you need. Finally, being an aerobic activity, snorkeling increases the levels of the so-called happiness hormone. In the same manner you feel good after exercising in a gym, you will feel amazing when you finish with a snorkeling session. There’s no doubt that snorkeling is addictive, but in a good way. You will remember your snorkeling adventure forever, which in turn, will make you want to go for another round. But, this time, you might decide to visit some new places. There are literally thousands of snorkeling destinations out there for you to explore – from Caribbean islands where you can swim with sharks, to the eastern shores of Australia, where the world’s largest system of coral reefs is situated. 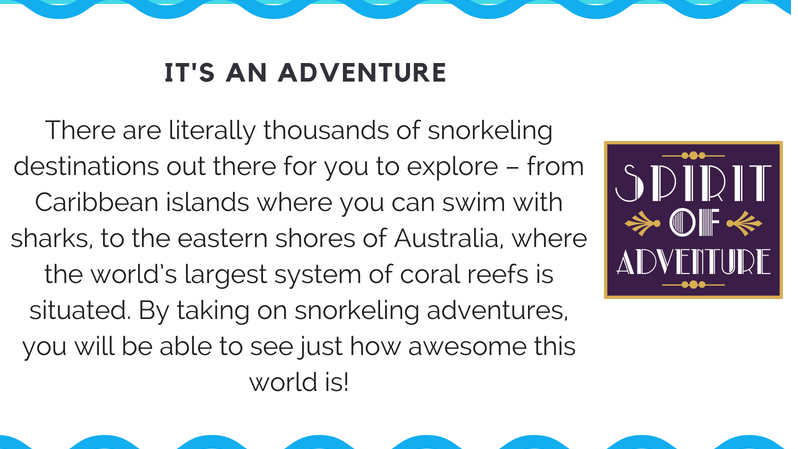 By taking on snorkeling adventures, you will be able to see just how awesome this world is!